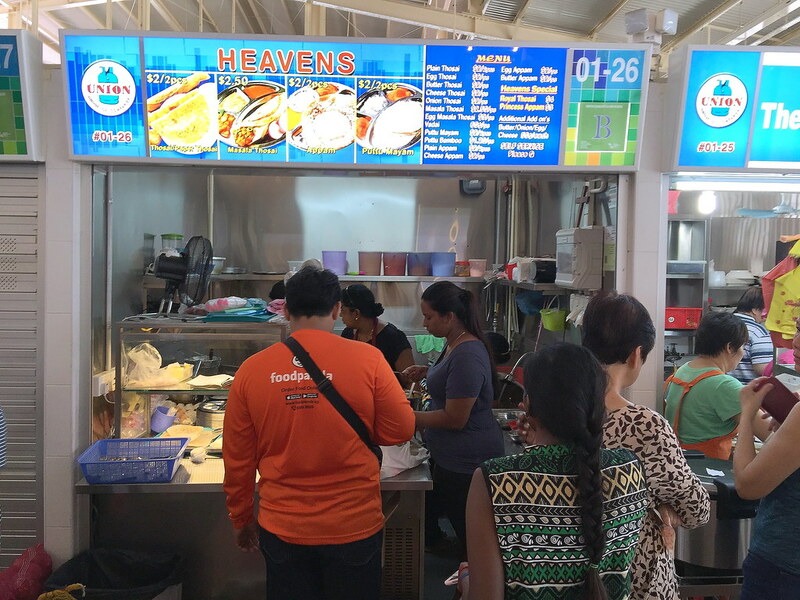 One of my favourite hawker stalls at Ghim Moh Food Centre is Heavens or more commonly known as Heaven’s Indian Curry started by Madam Letcimi more than a decade ago. 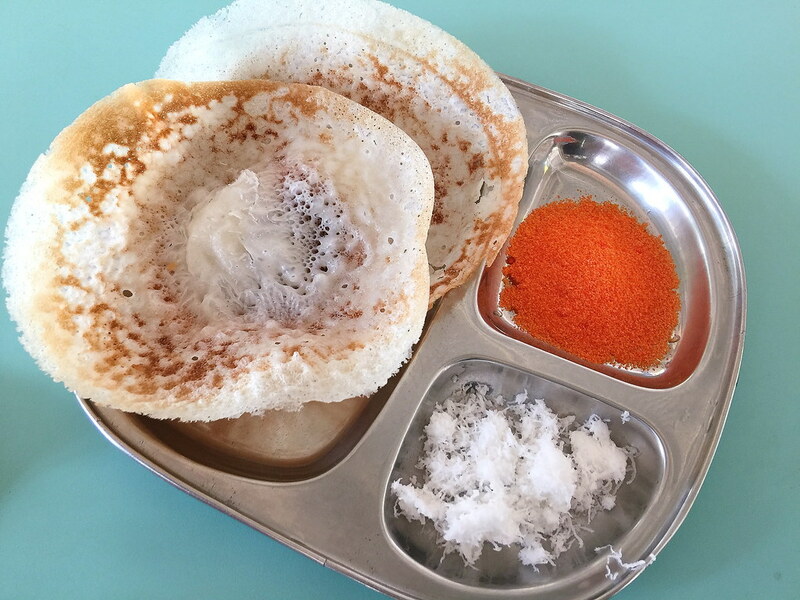 It is popular for its nostalgic and freshly made Appam, Putu Mayam and Thosai. Heavens may be well known for its Putu Mayam and Thosai but what brought me back every time to the stall is their freshly made Appam ($2). 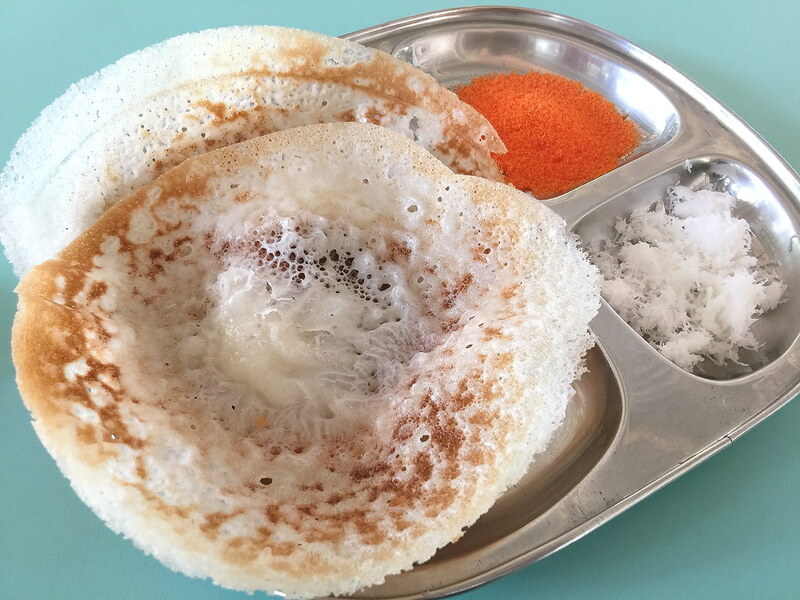 Appam is a pancake like dish made from the batter of fermented rice flour and fresh milk. At Heavens, the batter is cooked in rustic cast iron miniwoks that is specially bought from India. The result is a light, tangy pancake with paper thin crispy edges and a fluffy centre. It is best eaten with the orange sugar and coconut. 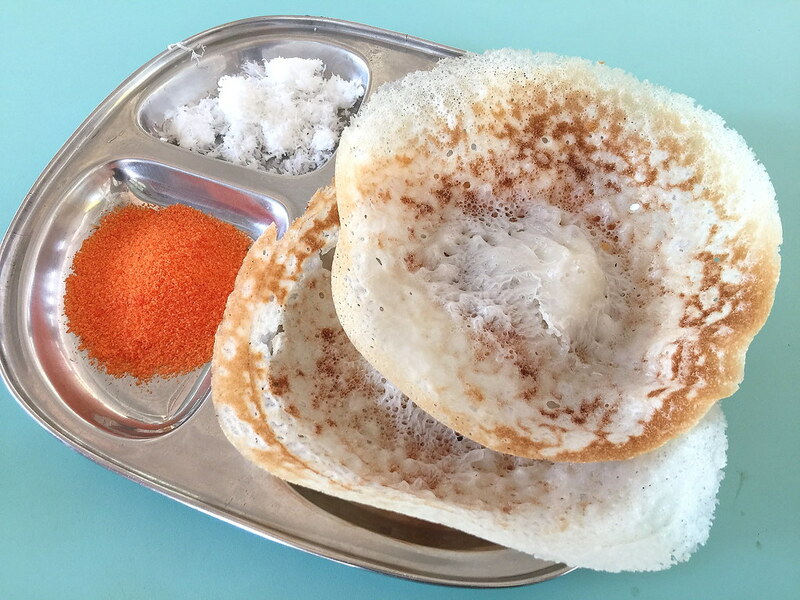 Two pieces of these artisan plain appam is only $2. This is really cheap and value for money. The stall also offers egg, cheese and butter flavoured appam, and the price remains the same at $2 for 2 pieces. Even the putu ayam is only selling at $2 if you are space for more of the nostalgic Indian dishes.